On the capitals of several of the pillars at the back of the church are crude carvings, some of terrifying aspect. 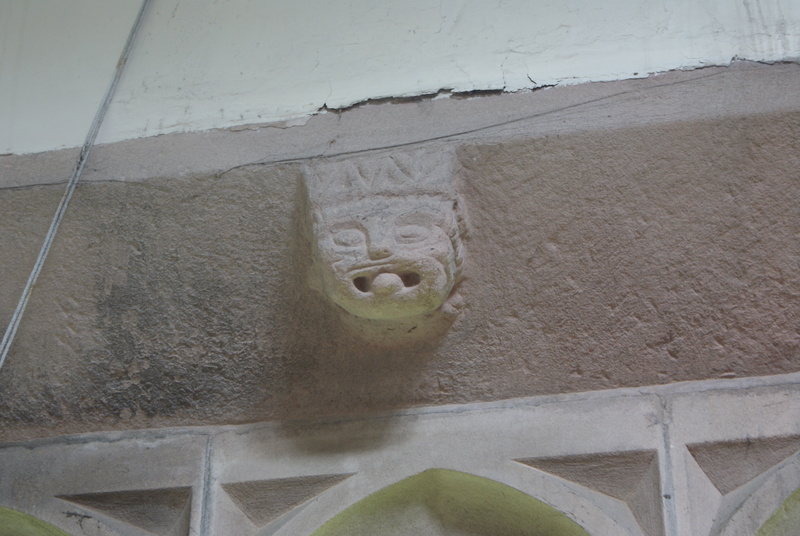 It was said that such grotesque carvings, often seen about old churches, had the power of driving away evil spirits. The carving of a head over the window to the east of the north door required a craftsman of greater skill. 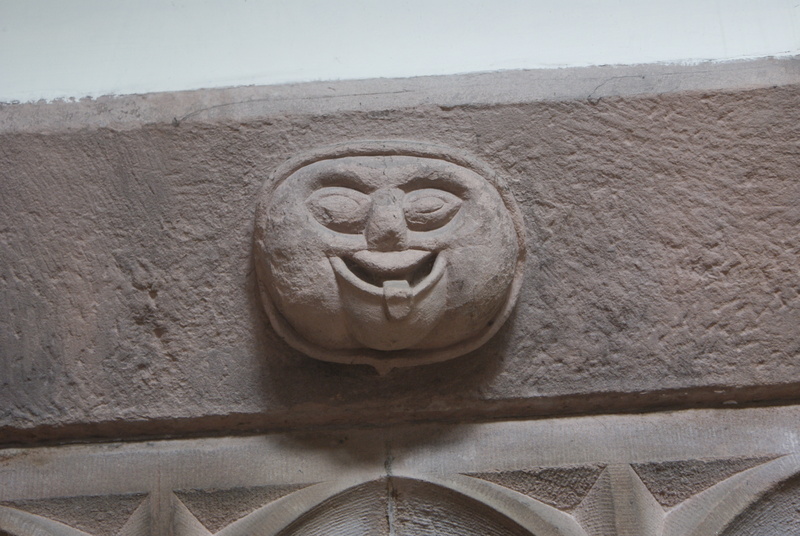 It is suggested that it represents Gluttony. There is one also over the window to the west of the door. 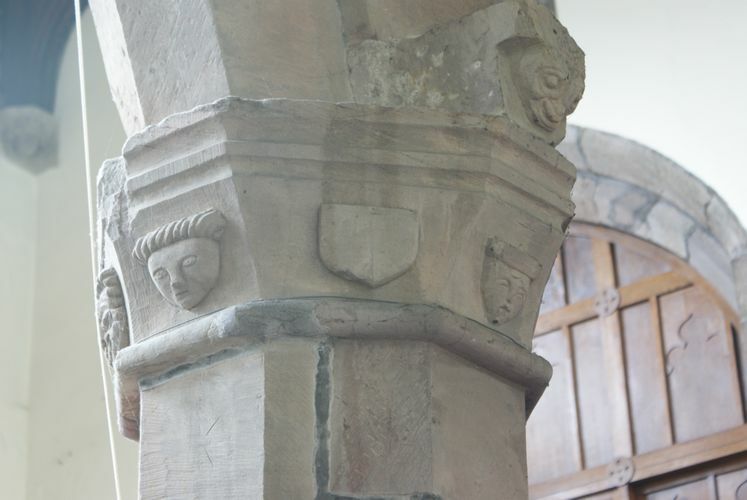 Probably the capitals of other pillars were also carved, but it will be remembered that some of them were cut away when the galleries were erected. It is possible too, that in this centre of Puritanism the church suffered in this manner before that time, though it does not appear to have been desecrated during the Civil War, as so many churches were. The Roundheads held Bolton, and it was the Cavaliers who, in 1643 and 1644, passed through and were probably quartered in Deane as they moved to the assault on Bolton. Though the Vicar and his curate were well known and active Parliamentarians, the Royalists, as was their custom, respected the church.